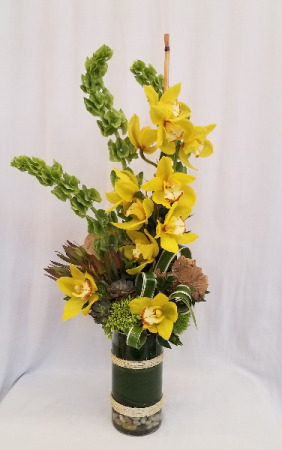 Elegant yellow cymbidium orchids and tall, sheltering bells of Ireland are featured standouts in this exotic bouquet. 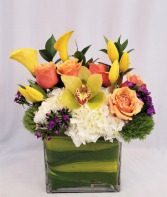 With textured succulents, mini hydrangea, red safari sunset stems and looping lily grass nestled within, our innovative Orchid Explosion Arrangement is sure to have everyone talking. 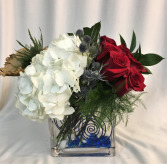 Created in other colors, call for availability.